It seems that yet another mystery related to Ancient Egypt may finally be unravelled as Edward Bleiberg, an American archaeologist and the curator at the Brooklyn Museum, offered an elegant explanation to why so many Egyptian statues had their noses broken off. While it wouldn’t be a stretch to assume that many statues got defaced due to wear and tear over time, old as they are, Bleiberg argued that it may in fact be a result of an "iconoclasm on a grand scale… primarily political in motive", as quoted by the Daily Express. As he explained, ancient Egyptians attributed considerable importance to images of the human form, essentially believing that a deity’s essence might inhabit its material likeness, or that a part of a dead person’s soul could dwell in a statue ascribed to it. Therefore, Bleiberg postulated, by damaging a statue the perpetrator would seek to “deactivate an image’s strength” rather than simply revel in an act of vandalism. "The damaged part of the body is no longer able to do its job", he said, noting that, for example, breaking off a statue’s nose effectively "kills" a statue as it wouldn’t be able to breathe, while a likeness of a god won’t be able to hear a prayer if its ears get destroyed. He also pointed out that these acts of iconoclasm weren’t caused by some vandals "recklessly and randomly striking out works of art", but were carried out instead by labourers hired for the job. 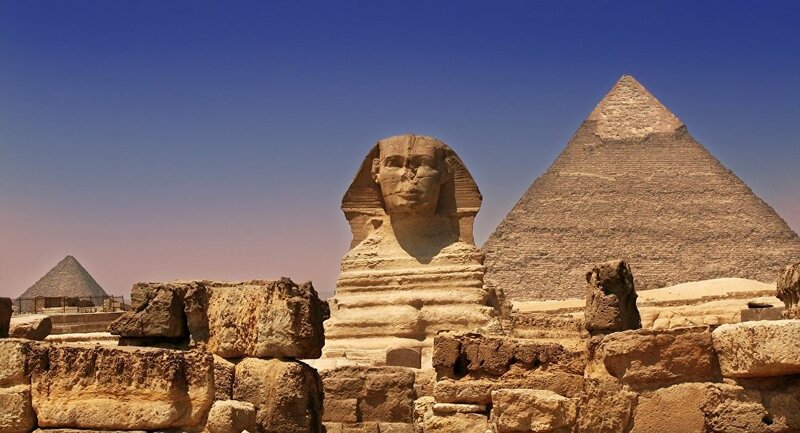 Earlier this month, historian Matt Sibson also made a surprising discovery related to Ancient Egypt, claiming that two missing ancient stelae that used to be located in front of the Sphinx may help solve the mystery of an enigmatic doorway rumoured to be located beneath that monument. He also postulated that an elusive sacred book, rumoured to be penned by the legendary pharaoh Khufu himself, may finally allow scientists to uncover the secrets of the Egyptian pyramids themselves.